Plants in your interior must be back in fashion! I see them everywhere (we’ve been pinning plants on our Pinterest board too if you’re interested). I’m really enjoying the greens that I’ve been collecting in our home — it just makes things look so nice and ‘fresh’. 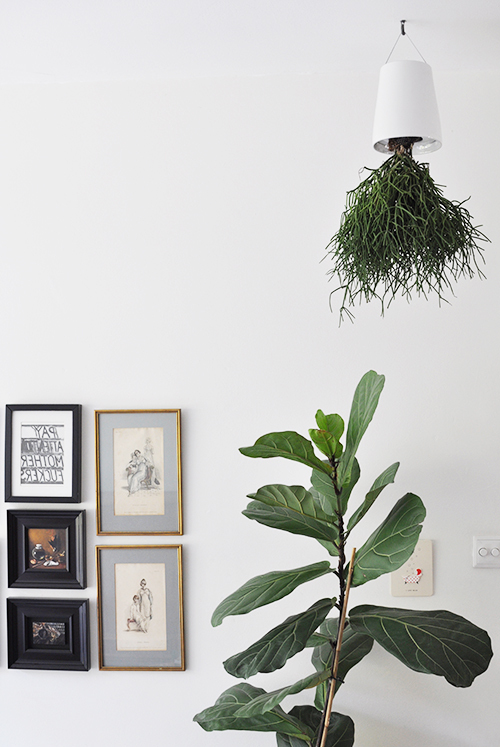 One of the new additions I got for our house recently is this fun upside down ‘Skyplanter‘ from Boskke. I love the concept behind it, and it is so amazing to witness that plants really like to grow this way! You can see a list of plants that especially love to live in the Boskke planter here. Amazing, don’t you think?